THEY have famously been dubbed ‘Madge-mobiles’ after one of hit TV show Benidorm’s most popular characters. 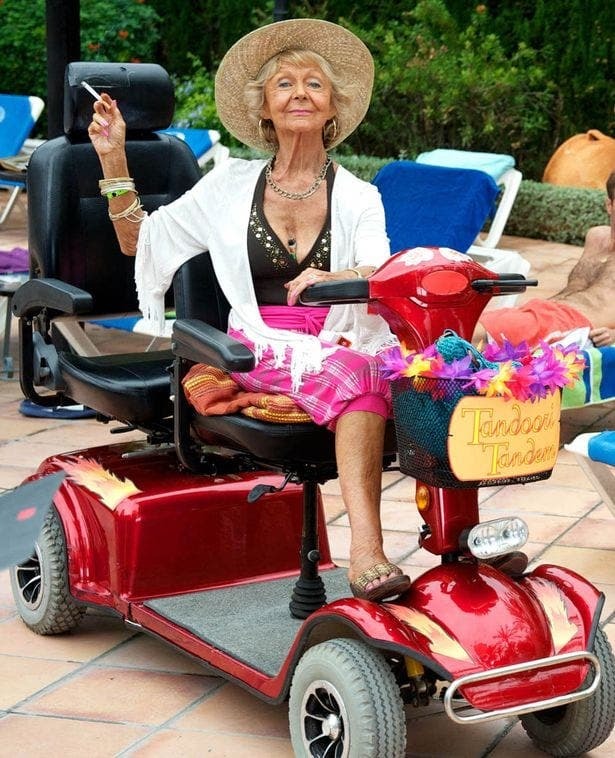 So it is with great irony that the tourist resort itself has decided to ban mobility scooters on the majority of its pavements. The move, which carries a fine of up to €450, will also see Segways, hoverboards and motorised scooters banned from the town’s pedestrianised areas. They are also banned in cycle lines and along the paseo. The vehicles, a favourite among British tourists, have been branded a ‘menace’ and will be set a new speed limit of 12mph in other areas. The ban will not apply if the driver is over 55 or has a blue disabled badge. The new laws have come into effect after a two-year battle and seven attempts and follow a similar ban in Alicante. Raunchy t-shirts are also banned as part of a crackdown on ‘uncivic tourism’. It comes after officials seized 500 ‘offensive’ items – including lighters adorned with naked women – in raids on five shops on Calle Gerona Street and Avenida Europa.